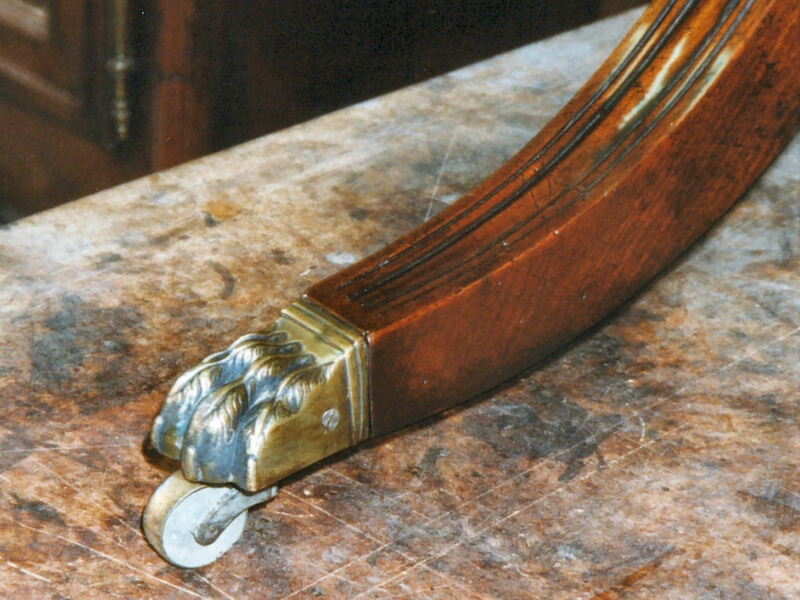 You can also read about the restoration of this table leg by clicking the link below. 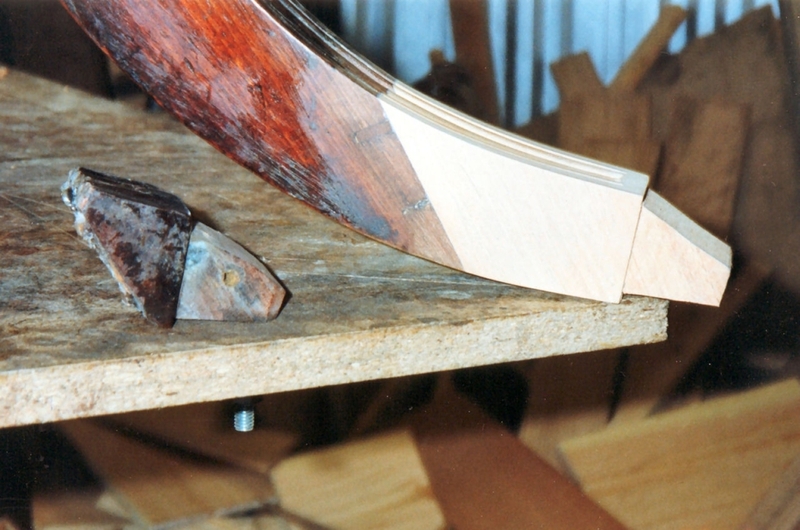 The leg was trimmed and a new piece of mahogany grafted on. 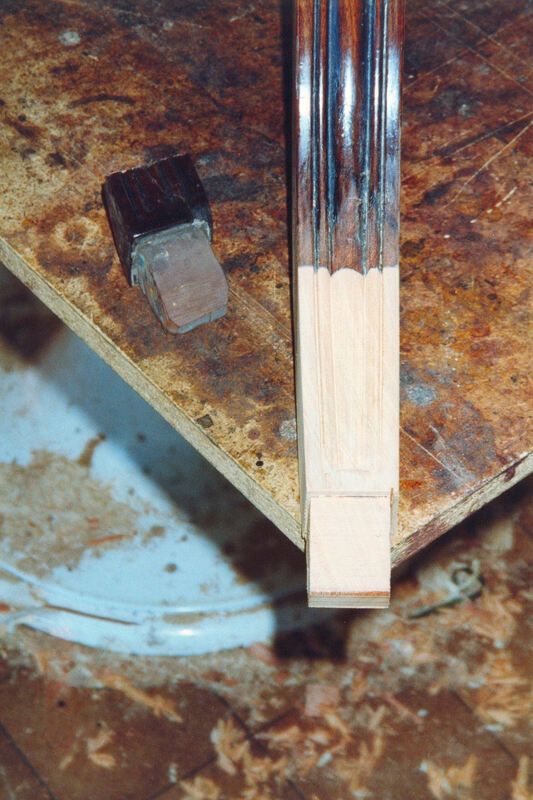 The stopped reed moulding was formed in the new section. 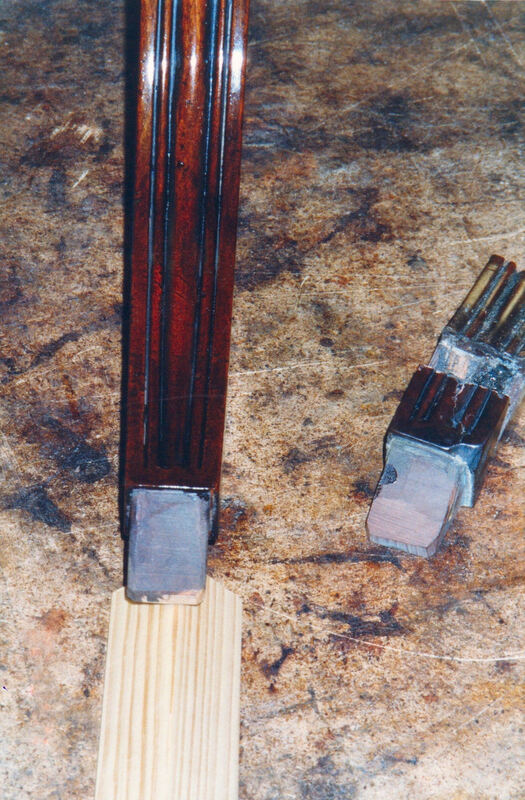 Preliminary colouring was done to blend the new with the old. 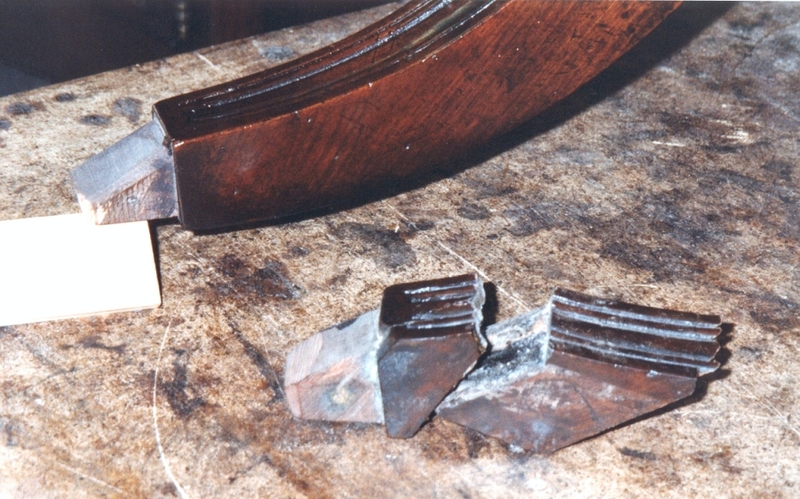 The castor was replaced the whole table given a good waxing.